One of four Eastern black rhinoceros at the Lincoln Park Zoo on April 16, 2016. 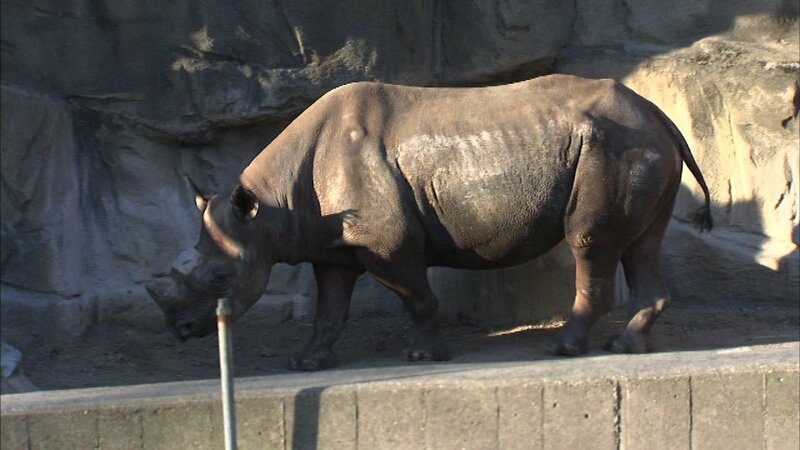 CHICAGO, Ill. -- An animal care staff member at the Lincoln Park Zoo in Chicago was bitten on the index finger by a Eastern black rhinoceros on Saturday, according to a zoo statement. The staffer was in the behind-the-scenes space of Regenstein African Journey during a routine training session when they were bit. The staff member was taken to the hospital and released at about 2 p.m. The rhino was uninjured. The animals will have access to both their indoor and outdoor space and be on exhibit throughout the day, as usual, the zoo statement said.